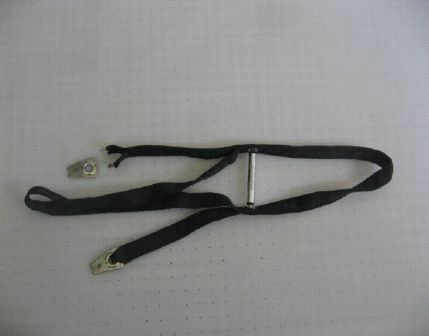 The main hang-loop attachment failed on an Icaro 2000 hangglider (with King post). 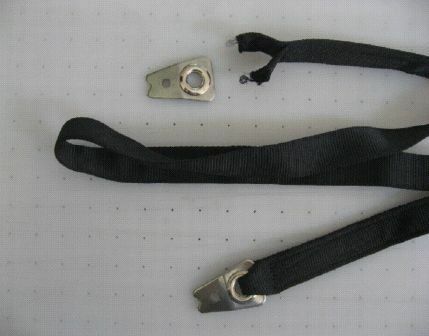 The failure resulted from the sharp edges of the eyelet used in the webbing. The failure occured during flight, but had no further consequences, as the backup hang-loop immediately took over. The particular eyelets have been used by Icaro 2000 in their products for 20 years. This is the first failure. Control checks have shown that in a very few cases, sharp edges may be present where these eyelets have been placed. Icaro 2000 have immediately stopped using this type of eyelet.